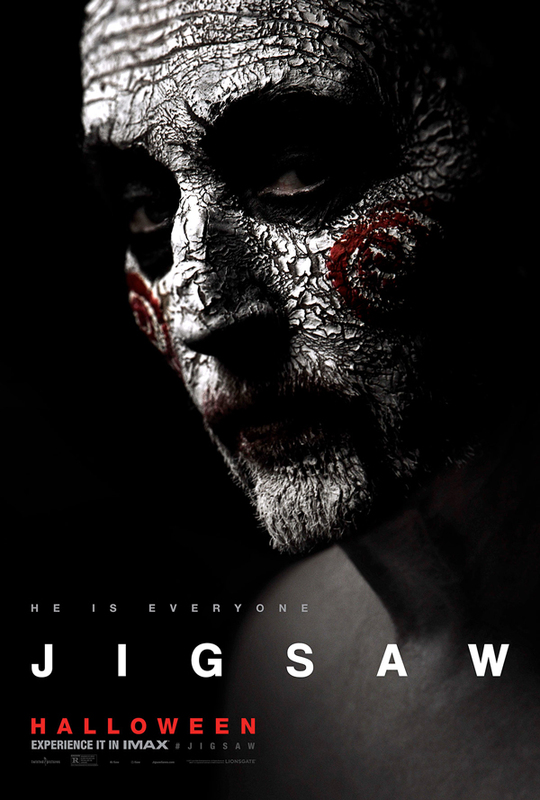 "Jigsaw" comes out Oct. 27, just in time for Halloween week end. The franchise comes back with "Jigsaw" and it seems like the chase is on for the ghost of a man dead for more than a decade. Thisfunktional will be giving some run of engagement passes for "Jigsaw" at Regal theaters. Disclaimer: Winners will be chosen. Contest runs to Oct. 27, 2017 midnight. No purchase necessary. Prize provided by AlliedContigo. Only open to the U.S., no PO Boxes or international addresses. Only one entry per household. Entries on behalf of another person will not be accepted and joint submissions are not allowed. We will not accept entries of contestants who have claimed a prize in the last 6 months. For seven straight years “If it’s Halloween it must be SAW” was a holiday tradition. This October 27… Lionsgate and Twisted Pictures proudly present "JIGSAW." After a series of murders bearing all the markings of the Jigsaw killer, law enforcement find themselves chasing the ghost of a man dead for over a decade and embroiled in a new game that’s only just begun. Is John Kramer back from the dead to remind the world to be grateful for the gift of life? Or is this a trap set by a killer with designs of their own? Jigsaw – In theaters October 27.